Corona Grande, our sweet wine from namesake vineyards positioned toward the south-west at a specific micro-location 350 metres in altitude. The soil is sandy, composed of clay and "bjankuco". The Malvasia Istriana and Muscat cuvée was added a small percentage of the aromatic Ulovina, an almost forgotten indigenous Istrian variety. The grapes for this wine are picked later in the year and dried for two months. 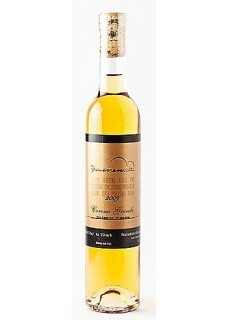 Corona Grande 2011 is harmonious, with aromas of acacia honey, raisins and a honeyed retro flavour. Food pairing: Excellent with cookies and Italian Gorgonzola or other aromatic cheese.